Coroner: John F. Kennedy, Jr. 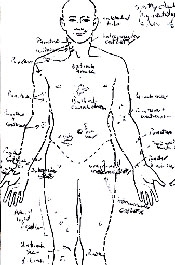 While not for the overly squeamish, autopsy reports are among the most fascinating documents The Smoking Gun comes across. With their detailed inventories, precise language, and often gruesome content, these records make us wish "Quincy" was still on the prime-time TV schedule. Below you'll find a collection of autopsy reports and death certificates for both the famous and infamous. We've assembled these records in the midst of the Christmas/Hanukkah/Kwanzaa season to remind TSG visitors that death never takes a holiday. So be careful out there.